FLINT, Michigan — The smell of sweet smoke hickory, macaroni and cheese, cole slaw, pulled pork, brisket and polish dogs spills into the back of the Flint Farmers’ Market as the line grows deeper outside the Charlie’s Smokin’ BBQ. As the lunch rush picks up and the line begins filling the aisle, the counter becomes louder as orders are called up. Even with the growing lunch rush, surrounded by the fury of the line, the retired Flint Police officer moves with a calm purpose. There’s not really a rush to his timing, as much as it seems he knows what’s coming next. They set up shop outside five years ago, often just one day a week and their reputation for ribs that fall off the bone grew. 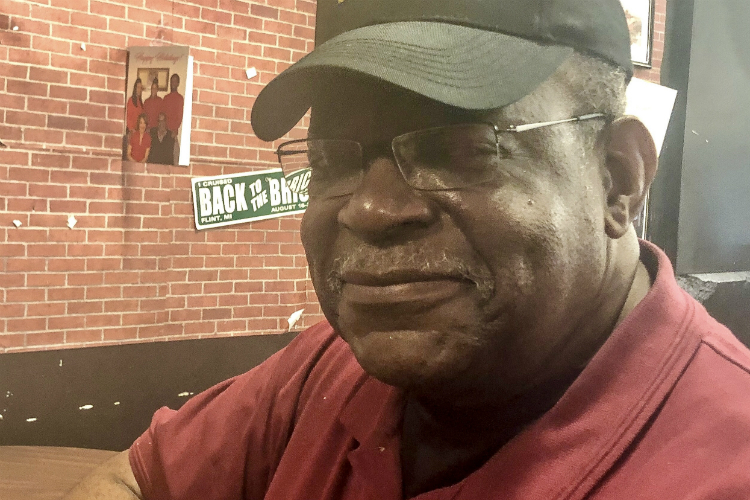 “From that point, they could see we were developing a following and wanted to know if we wanted to come inside,” the Flint Northern grad who served for 30 years as a Flint police officer. Barbecuing started, and remains, a “family thing,” for Weston. “Like most, I started out young, with family, assisting my dad and my stepdad with just barbecuing for the family. It just grew from there, just something I’ve liked doing,” Weston says..
Weston is the grill man and gets started in the morning, prepping the sides and his meats — but if you’re looking for details, like what makes that Charlie’s Smokin’ BBQ sauce so special, look elsewhere. “Mmmhmm nah, I don’t think so, I keep that one close,” he laughs. Leaning back and looking at a side wall of pictures and cards, Weston lets go of a deep breath. He’s seen a lot in this town over the years. He’s seen a lot of good. And, he’s seen a lot of bad. Things were good when Weston was growing up, attending Parkland Elementary, Emerson Junior High, and Northern High School at a time when General Motors jobs were plentiful. He sees a lot of good happening now, too. “I believe there is going to be a growing surge here, and if I can be a part of that, then I will be right there. We’ll be apart of that,” he says. Getting back to the line, Weston is greeted by his co-workers/family: “Where’s that chicken?” a voice chides lightley from the back. “It’s coming. It’s coming,” Weston says. 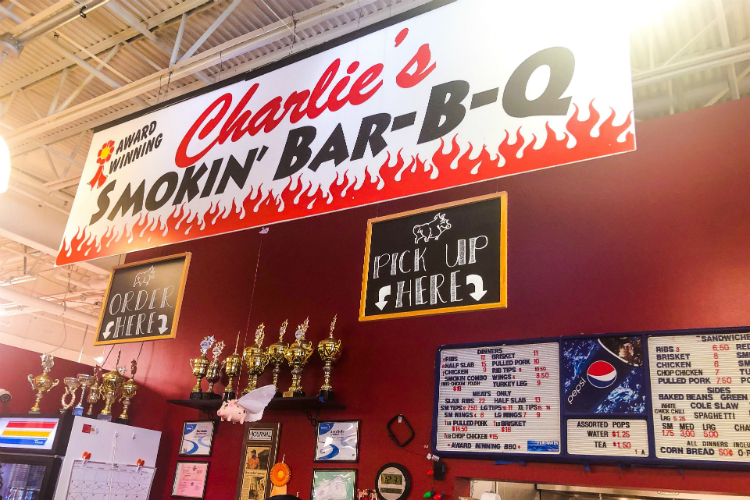 Charlie’s Smokin’ BBQ is located in the Flint Farmers’ Market, open 9 a.m. to 6 p.m. Tuesdays and Thursdays and 8 a.m. to 5 p.m. Saturdays. For more information, visit Charlie’s Smokin’ BBQ Facebook page.